While we have no interest in really getting into retail sales — been there, done that — we do find ourselves in the position of being able to sell any and all Suunto products. 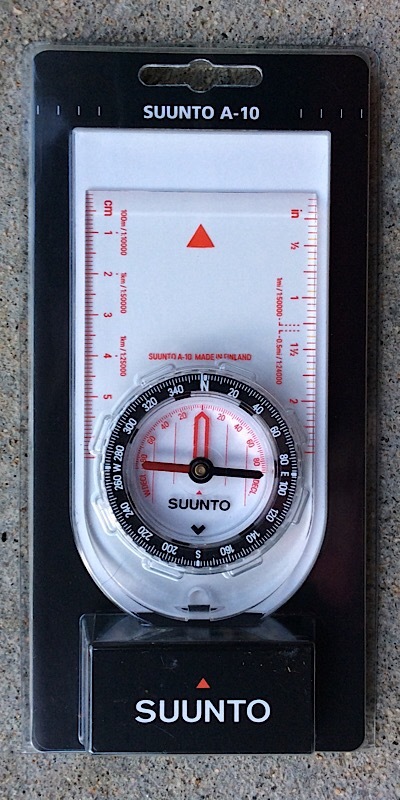 In fact, over the (almost) year we’ve sold numerous Suunto A-10 (NH) compasses through our Wilderness Navigation classes. We weren’t trying to sell them, and actually held back because we didn’t have the arrangement in place then that we have now and didn’t want to run out of stock. That’s all changed now, running out is no longer a concern. We will now actively offer the A-10 and A-30 compasses through our classes to meet the needs of our students — in addition to rentals. Moreover, we will also make them available to anyone who reaches out. To order, one may do so on our Wilderness Navigation page or, as a convenience, right here and now by way or the simple order form below. Choose your compass by entering a quantity below. To view a larger photo, click the thunbnail images. 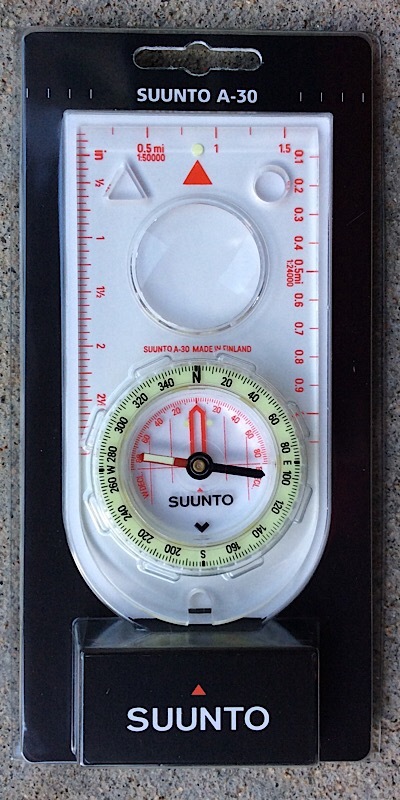 The Suunto A-10 is the entry-level magnetic baseplate compass we teach with. Manual declination setting, horizontal and vertical orienting lines, and much more. This is the perfect starter compass and all you ever really need. Only $20 each ($25 postpaid in the US). The Suunto A-30 magnetic baseplate compass offers users the same features as the entry-level A-10, but also adds extra baseplate length for more accurate and easier field plotting, a magnifier, and higher visibity features for easier reading. Only $25 each ($30 postpaid in the US). We now need your information so we can invoice then ship your compass order. This is not a payment gateway. You will be invoiced separately via a secured method. 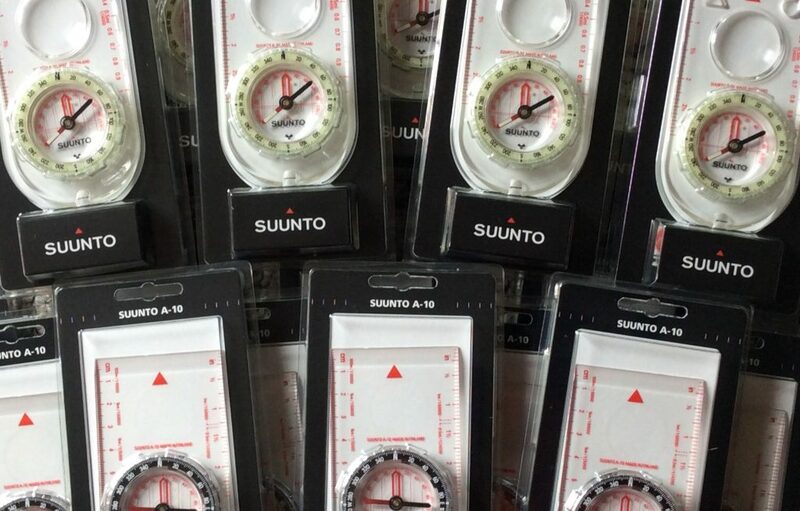 Suunto A-10 and A-30 compasses in stock.